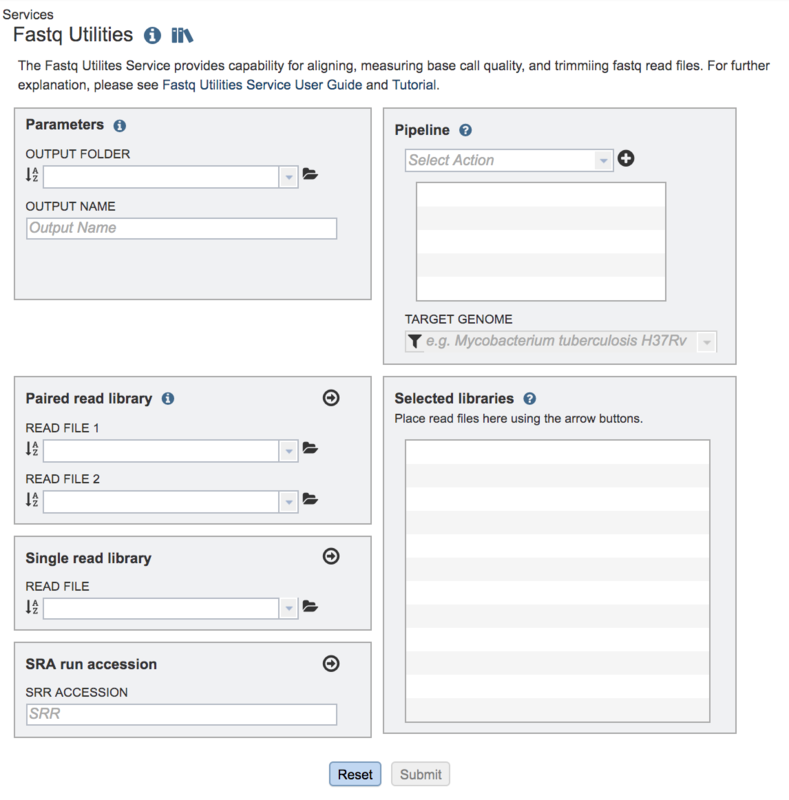 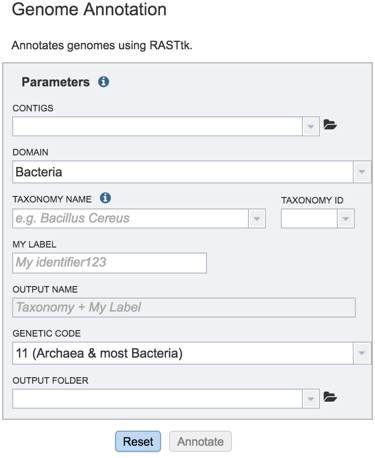 To find genomes within a specific taxonomy, search for the taxon name using global search. 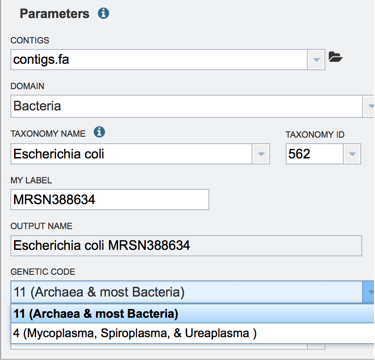 If the genomes belong to one of the NIAID genera of category A, B or C pathogens, click on the Organism tab and select a genus of interest (Red Arrow). 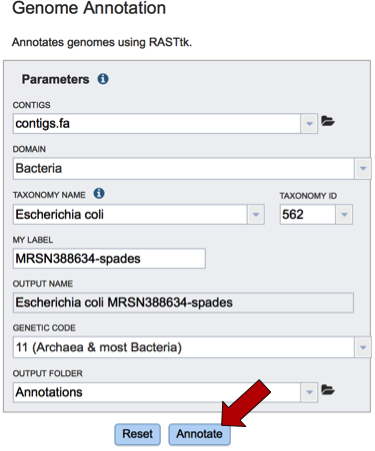 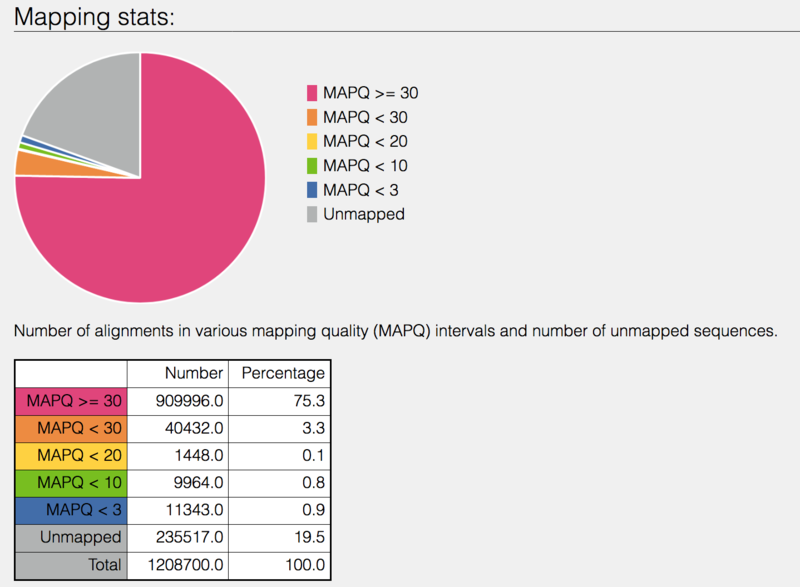 This will return a page that lists all the genomes in that genus that has that specific text, somewhere in its record. 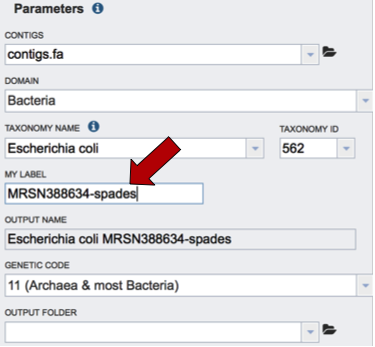 It can be part of the name of the genome, or it could be part of the description that was entered when the genome was originally submitted to GenBank. 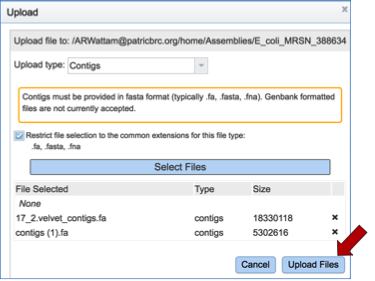 To create a group of these genomes, they must first be selected. 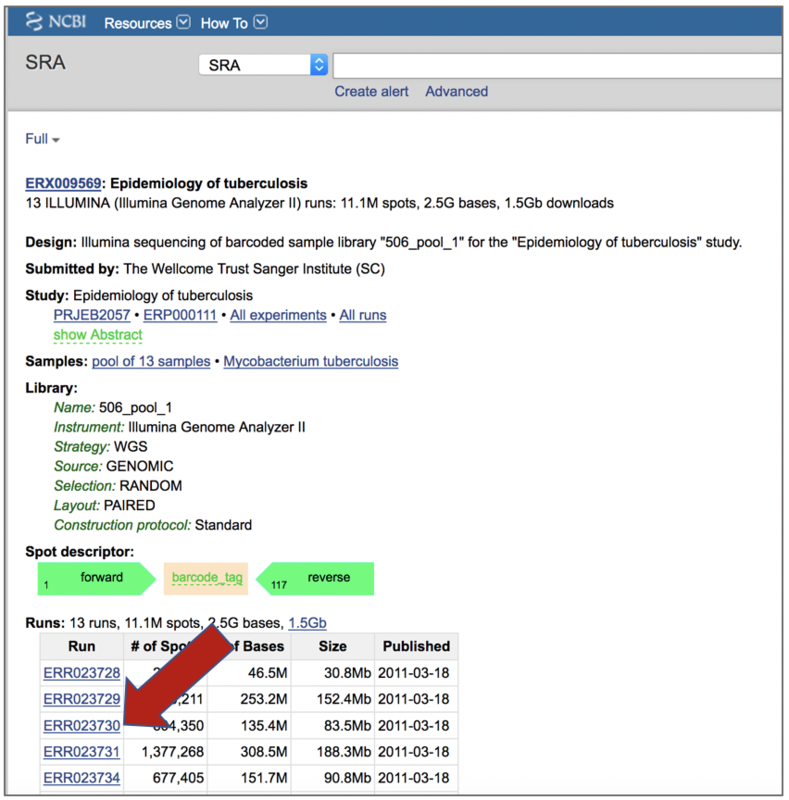 To do this, click on the box in front of Genome Name at the top of the table on the left (Red Arrow). 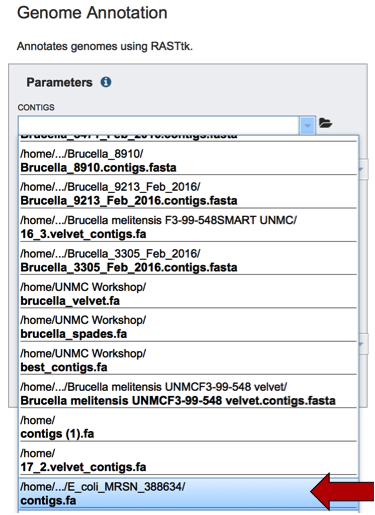 This will select all the genomes in the table. 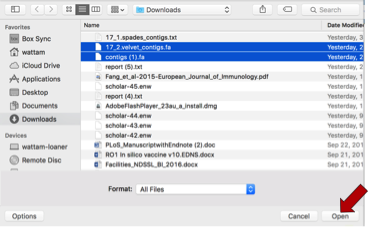 This will open a page that shows all the genes in that protein family, and all the genomes that they belong to. 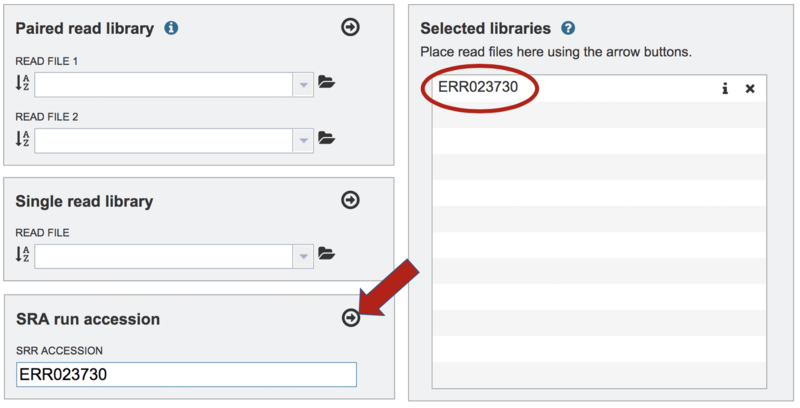 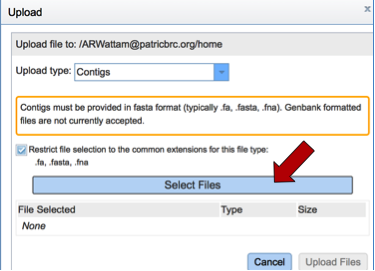 Clicking on the box in front of Genome Name (Red Arrow) will select all of the genes. 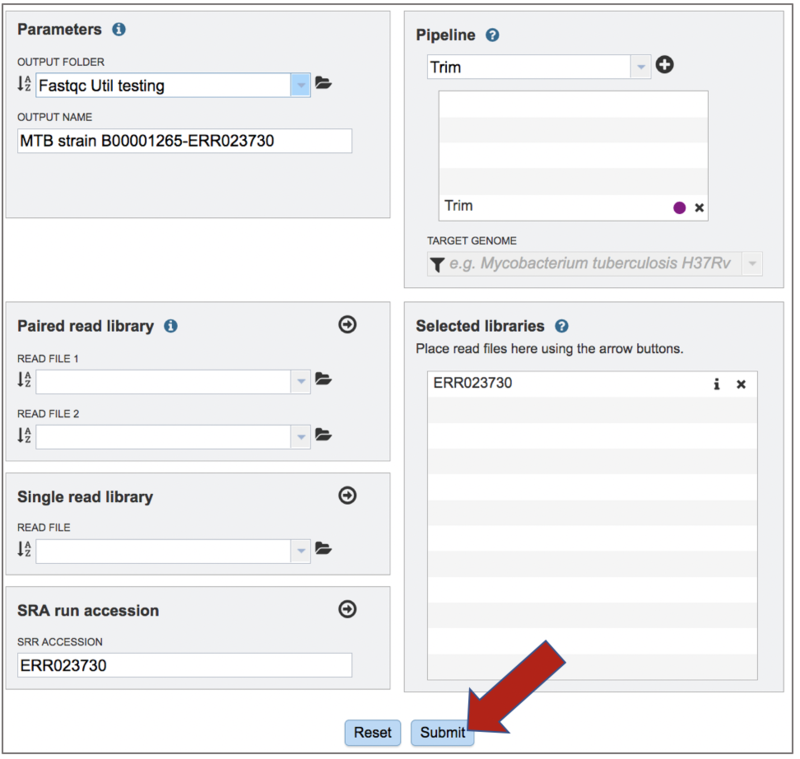 This is the first step to creating a genome group.